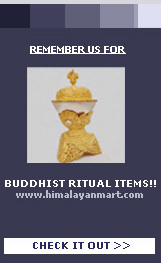 Beautifully Gold Painted Green Tara Copper Sculptures: Beautifully Gold Painted Green Tara Copper Sculptures. 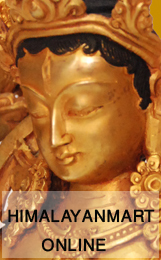 Speciality: Partially Gold Gilded Green Tara Copper statue which is crafted by the master artisans of Patan, Nepal. This 8.5” Green Tara Partially Gold Gilded Sculpture is made from Copper Alloy which is crafted by the experienced artisan of Patan, Nepal who has been in this business for generations. This 8.5” Green Tara is seated on a lotus rising out of a lake. Dressed in fine silk and rainbow – colored stockings, Green Tara holds in each hand a blue Utpala flower. Green Tara sits in Lalita asana (sitting position) with her right leg extended ready to assist those who ask her help.